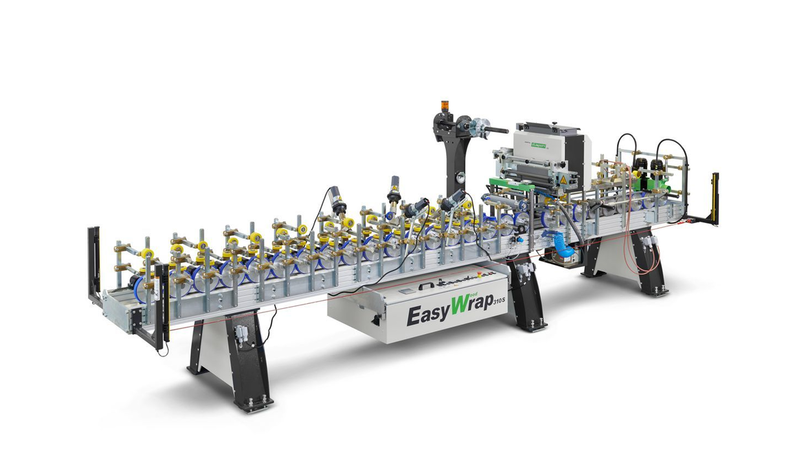 EasyWrap Wood wraps wooden and composite material profiles with sheets material. It is equipped with the All-In-One Adhesive Application Unit which includes melter, application pump and slot-coater. It also comes with the quick set-up with patented grid adjustment optimization system for transport wheels. The wrapping zone is equipped with easy to use quick change systems.